Every console has a light gun, the Genesis included. Unfortunately, it seems that the 16-bit generation overall didn’t pay much attention to them, as both the Menacer and its SNES counterpart, the Super Scope, received only a handful of games in total. Despite the small library, there are some good games out there, like T2: the Arcade Game and Body Count. 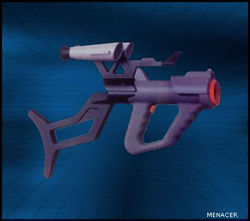 So, is it worth tracking down a Menacer for your console?